Mountains are beautiful but they may turn dangerous sometimes. Whether you are taking an innocent walk in the mountains or trying to go the full distance by climbing to the top, you have to be wary of the various threats that the mountains pose. A trek to the Base Camp is not actually dangerous. Base Camp is the point from where Mountaineers start their actual climb to the top of the Everest. But if you don’t take proper precautions, even a trek to the Base Camp can be dangerous. Going to the base camp doesn’t require special mountaineering tools such as hooks or ladders and therefore is relatively safe. Only a few deaths take place at the treks to the Base Camps. And it is usually due to extreme carelessness. The movies which show you deaths while climbing is actually movie sets which try to duplicate what happens while climbing to the top of the mountain, not the Base Camp. So, you can breathe a sigh of relief. Many people without extensive trekking or mountaineering experience can get to the Everest Base Camp with proper preparation. But you should know about the recent lethal events that have taken place at the Everest Base Camp. 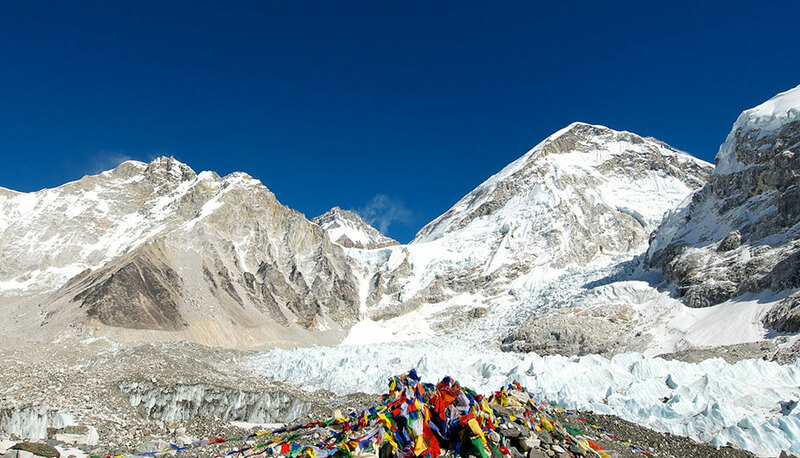 Although there is no doubt that there have been deaths at Everest Base Camp, these deaths are not excessively large. In this day and age where even lies spread like wildfires, you have to check your sources before you can trust anyone. Getting to the top of Everest is indeed dangerous. It requires extensive training in mountaineering institutes and involves a lot of financial investment. And the dangerous tracks to the top of the Everest can result in a few deaths. Most deaths are a result of inexperienced climbers who are too willing to do anything to catch a sight of Mt. Everest. There are concerns over overcrowding at Everest too. The Base Camp is a different thing altogether. People get to the Base Camp even with their kids in family trek routes. So, the number of casualties is very very low. A travel enthusiast from Melbourne was reported to be the latest casualty of Everest Base Camp trek on March 6, 2017. The Department of Foreign Affairs and Trade (DAFT), Nepal confirmed this tragic death of a father of two. ABC news reported and consulted a few veteran mountaineers regarding the matter and concluded that altitude sickness might have played its part. In early 2014, Rachel Burke, a scientist from the Royal Navy (UK), died while descending from Everest Base Camp. Although initial reports maintained that there she had an underlying heart condition, it was later found out that she had trouble coping with the altitude. In October 2014, Debra Wilding, a British mother died while coming down from her trek to Everest Base Camp. She also was identified as having problems dealing with the high altitude of the Everest region. In 2015, a terrible earthquake struck the beautiful and mountainous country Nepal. Everest also shared some of the troubles that were associated with the earthquake. As expected during any event that shakes up a mountain, an avalanche struck the Everest region. The Hillary step (named after Sir Edmund Hillary, the first to scale Everest), was destroyed by the avalanche that descended from Pumori to the Base Camp. At Least 17 people lost their lives and 37 injured during this horrible incident. As per the death report, the biggest cause of the deaths at Everest Base Camp is the altitude sickness. There are various types of altitude sickness that can bring anyone down. High Altitude Cerebral Oedema (HACE) and High Altitude Pulmonary Oedema (HAPE) are amongst the two major altitude sicknesses. Symptoms of High Altitude Sickness involve headaches, nausea, shortness of breath, dizziness and lack of sleep. If the high altitude sickness becomes severe, you get symptoms such as severe shortness of breath, inability to walk, intense fatigue and muscle weakness. When the high altitude sickness becomes severe, medications might not work as well. Nature with all its beauty, wonder as well as excitement is unpredictable. She fills us up a sense of glory and amazement. But you never know when she might strike you. Nepal earthquake of 2015 was a perfect example. There was no one who could have predicted it and prepared for the casualties that we observed. But such events are extremely rare. With all the dangers, you also get to take measures for safety. You can certainly take steps to get yourself out of all the trouble of altitude sickness as well as prepare for the fury of mother nature. Hike a few times at an altitude of around 3000 meters or so before you plan to ascend to the Everest region. So make sure you have some experience. You can trek around Kathmandu valley for practice. You should involve in physical training before your trek. Around 2/ 3 months of running, squatting and strength training to improve your endurance will come in handy. Have the appropriate gear, without over-packing. Over-packing will make your body too tired. Keeping it light will not drain your strength rather keeps you energized. Spend a lot of time for acclimatizing. Make sure you don’t trek for more than 5-6 hours a day no matter how strong you might think you are. Even Sherpas take time to acclimatize. Sleep is of utmost importance. The higher you get, the more sleep is required for you. In any time of your trek, you feel uncomfortable, trackback. You can also get to charter a helicopter during the trek when you feel uncomfortable. There are plenty of heli charters in the Everest region. Look for the best times to trek to Everest. The best times are extremely comforting in terms of weather and help you adjust to the climatic conditions. There’ll be plenty of other people in the trek whom you can have a laugh or twin with. Yes, there are a few ways that you can keep yourself protected from mother nature as well. Remember, even the most difficult things have preventive measures. Don’t go alone. Going alone to places that are exotic might sound exciting. But in cases of difficulty, you’ll need someone to help you get out of trouble. Charge your devices. You can do it with the help of a backpack charger or solar charger. Use your devices to let your family/ friends know about your whereabouts. The GPS tracker will come in handy in case you get lost. Torches and trekking poles will also help you if you get trapped. They help to locate you as well as get rid of the snow that is there in the mountains. Whistles will help you shout out for help. When you are exhausted to the shout, a whistle will help you project your voice to long distances. You might encounter yaks along the way as these domestic animals are a great part of the domestic sphere. Don’t taunt them or interfere with their activities. There is little doubt that people who want to climb Everest for glory and thrill put their lives in dangers. But, the same cannot be said about the trekkers to Everest Base Camp. Everest Base Camp is a relatively safe place for travel. But, safety measures should be taken into account. The preparation that people do is a big part of the trekking experience. Altitude sickness does play a part in your health and so does nature and climate. But as long as you keep in mind the above things, you can have a very good and safe trek to the Everest region.